Where to Buy Flea Control Professional Kit, Fleas Control Pro Pets Kit Pestrong - $148.45 for Sale with Fast Free Shipping! 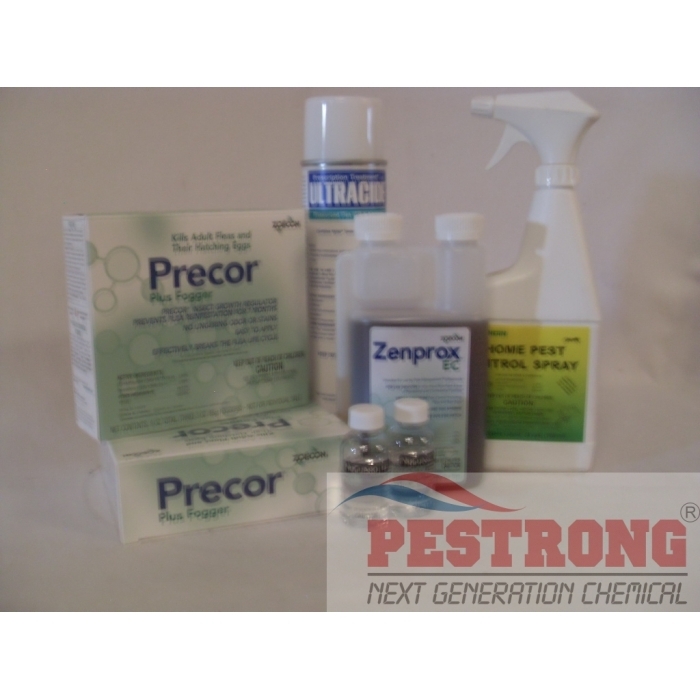 Fleas Control Pro Pets Kit Pestrong is excellent fleas control do it yourself detailed pets and property for heavy infestation. You can use this kit detailed control fleas one two punch combination. Broadloom Sedge Control Basagran Herbicide..
Bio-activated Base Actosol Humic Acid..
* You can get great result for fleas treatment within 1~2 trials by 7-10 days intervals using this professional kit. I tried several products to get rid of the flea infestation and nothing worked. I TRULY stand behind this product. This worked immediately. I have no pets but the fleas came with the neighborhood cats that like to sleep next to my door. Not only did this work dramatically, but something in the odor kept those darn cats away too! I highly recommend this product. Thank you soooo very much Ultracide!